“The stockings were hung by the chimney with care, in hopes that St. Nicholas soon would be there.”~Clement Clarke Moore. “Twas the Night Before Christmas” might be the most famous Christmas poem ever written. I’m not sure if they had mantles back in the 1800’s. But I know they had garland, as the earliest garlands were made of twigs and greenery in ancient Europe. 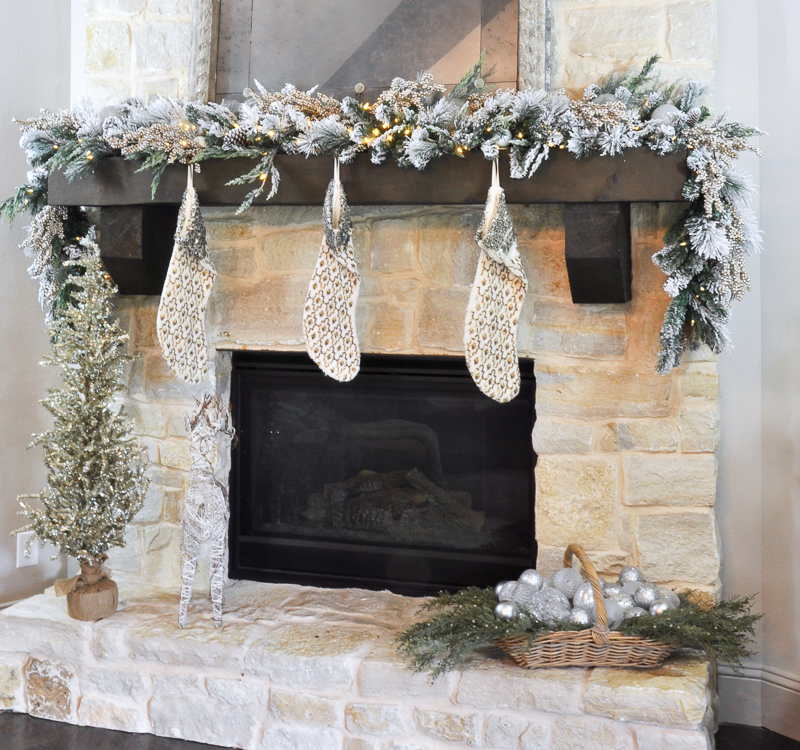 I don’t know what it is about garland, but when I see a mantle adorned with it, Christmas spirit seems to fill the room. 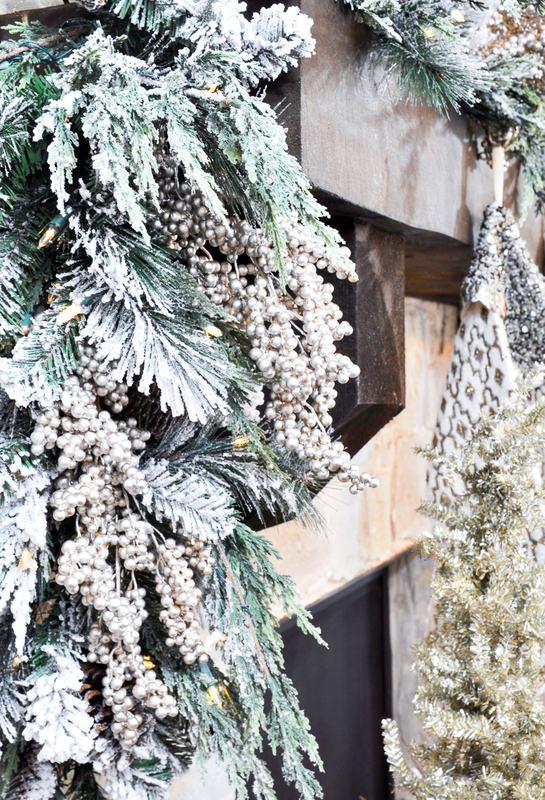 This year I was approached by Balsam Hill to see if I would be interested in showcasing their beautiful garland in this post. I was thrilled to participate and am eager to show you all the results! 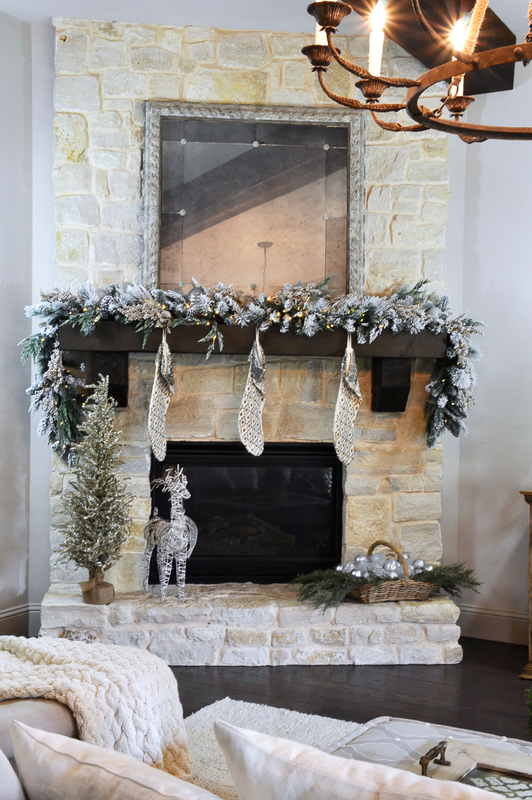 To decorate this mantle, I first selected the garland. I chose the Frosted Evergreen Foliage. Our mantle required two and they drape beautifully over the sides. I have no idea why I waited so long to move towards flocked Christmas decor. 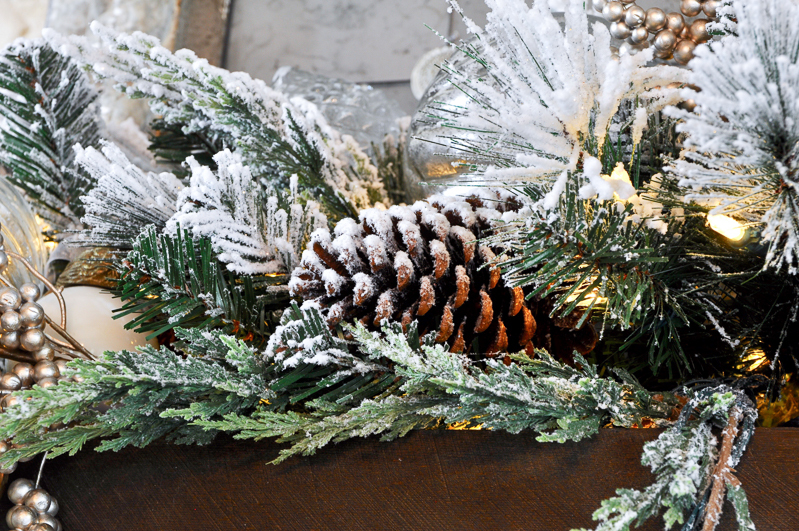 I just love the snowy look it adds to the pinecones and greenery. 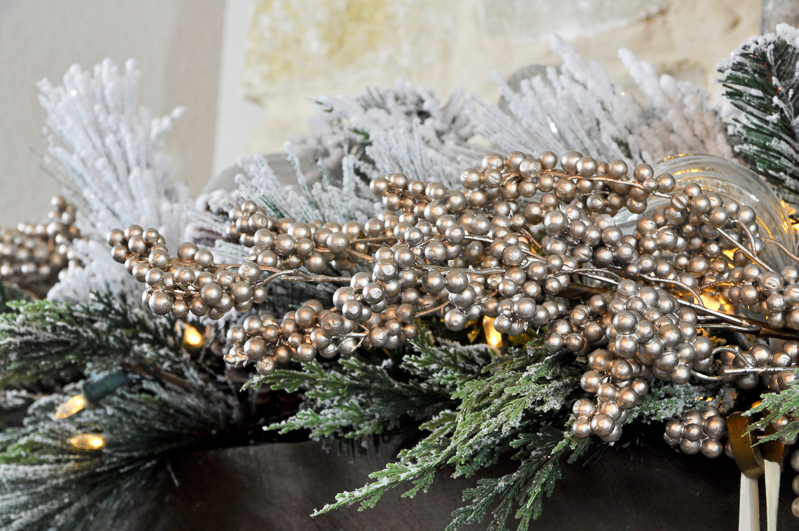 For added elegance, Champagne Metallic Berry Picks were placed with the garland. I also decided to add French Country Ornaments. Some are jumbo in size, which when combined with smaller ones provides greater interest. 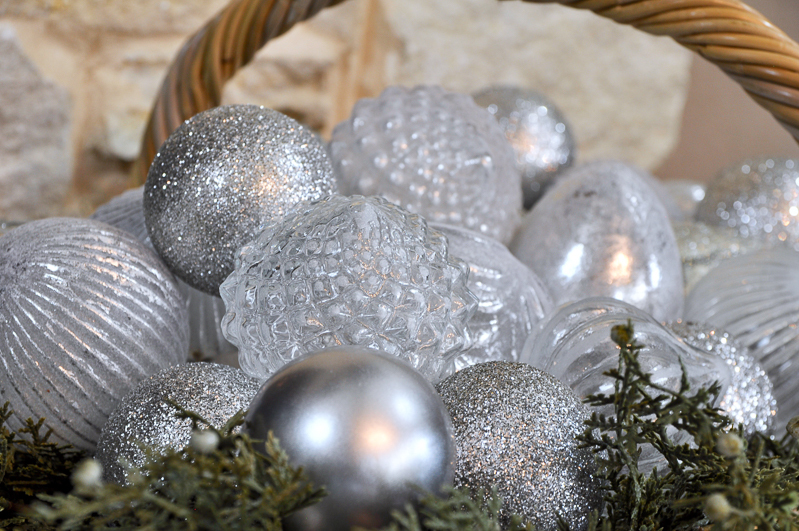 They are all made of a beautiful mercury glass. 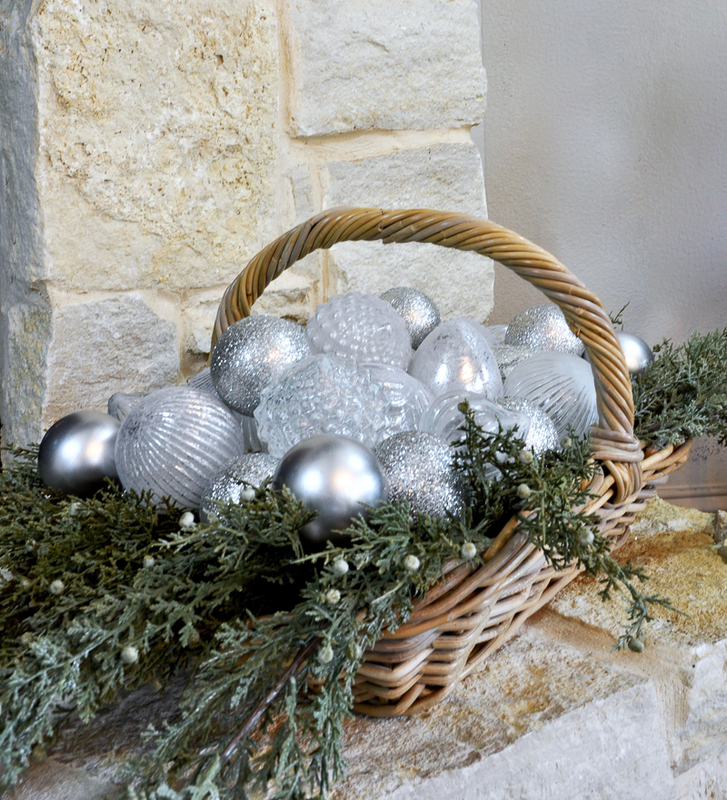 I then placed some additional ornaments in a basket on the hearth along with a metallic tree which ties in with the champagne berries. A closer look at the ornaments on the hearth. The variety of textures keep the interest level elevated while offering a lovely balance to the hearth. And then there is Max. We adopted this senior golden retriever almost two years ago. He feels right at home below the fireplace. So, since St. Nick is going to be arriving soon, we should make a good first impression. 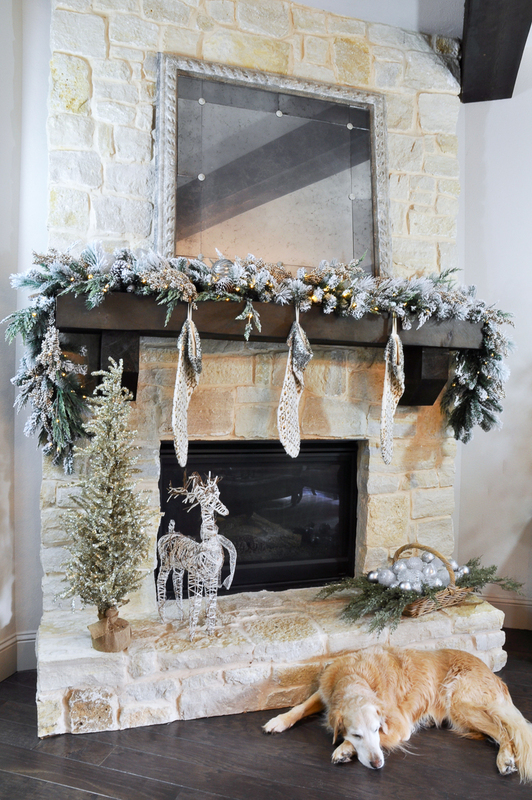 One that begins with the mantle and a beautifully crafted garland. After all, we want him to return next year! If you’d like to see more of my Christmas posts, please consider subscribing to my weekly newsletter. You can also follow along on Pinterest, Instagram, and Facebook. Happy Holidays! For a full list of living room sources, click here. *This post was done in partnership with Balsam Hill, but the opinions expressed are 100% my own. Jen this is absolutely stunning!! 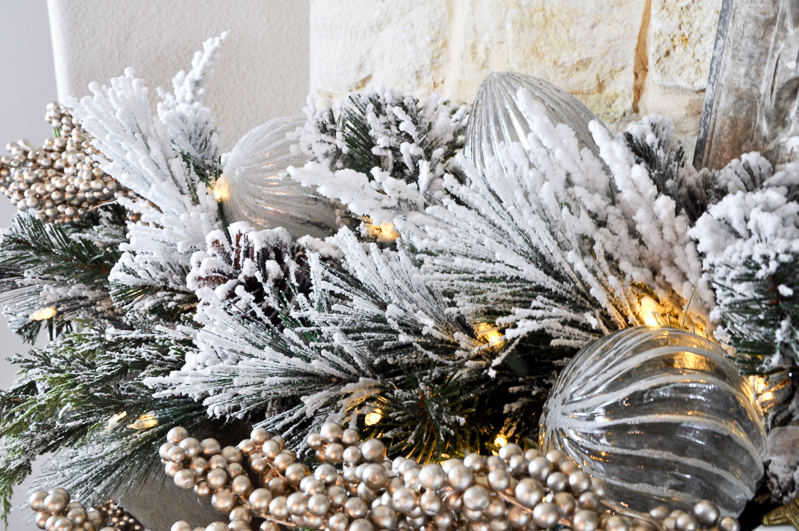 I need garland exactly like this for my mantle, I am in LOVE!! Gorgeous mantle! 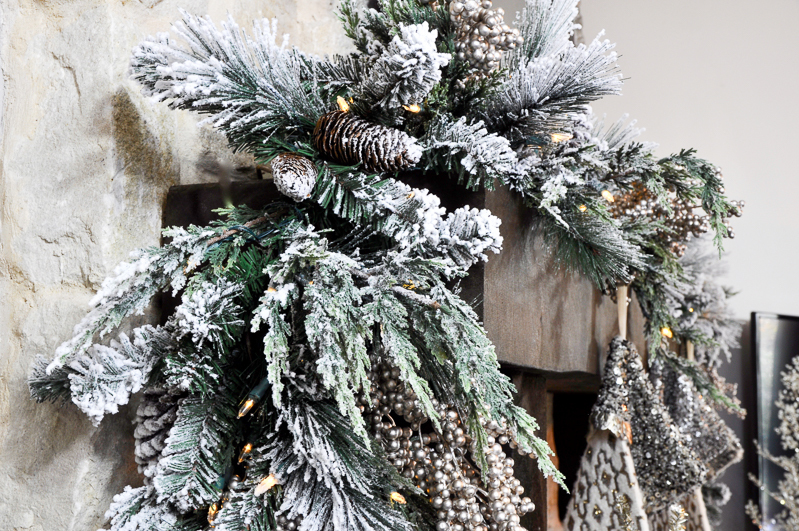 I love the Balsam Hill flocked garland. 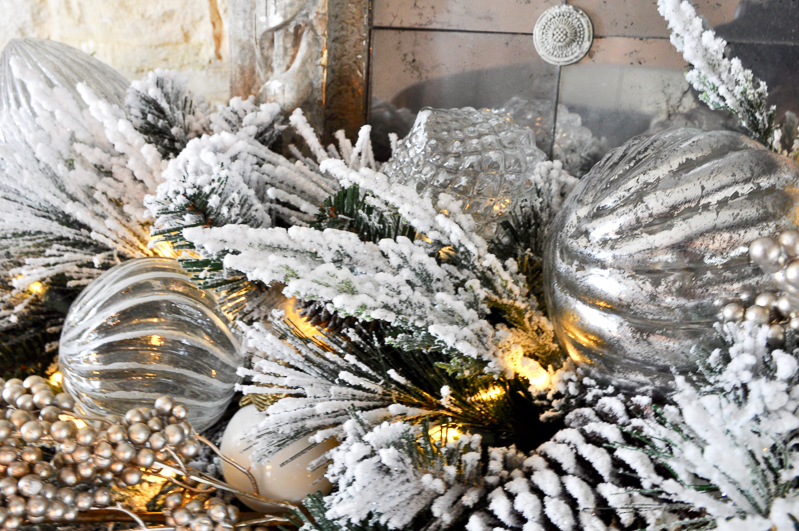 coupled with your vintage ornaments. Like I said gorgeous!! !